On Friday, I never got around to posting a few works in progress pictures. These summer days just seem to get slip by me before I can even notice. I finally got some of the pottery supplies I needed after a trip into Baltimore and Friday afternoon I started to make a new batch of buttons and pendants. At this point, I can make a lot of things from the convenience of my kitchen table, but when it gets time to glaze I’ll have to work in the studio. I enjoy working at home as much as I can and Emma especially likes getting her hands in the clay, too. 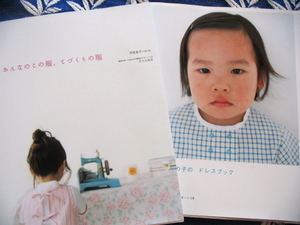 And I also received my first pair of japanese craft books on Satuday. I wasn’t expecting them until mid-July so it was such a fun surprise when they arrived so soon. I already knew they were wonderful after seeing them on other’s blogs, but now I really understand the addiction and obsession. They are crafting eye-candy. I just want to make everything I see. These two were both books of patterns for girl’s dresses. I just snapped a few shots with my camera for now, too lazy to hook up to the scanner this morning. And I snapped my fav shots from the books. I love the stitching details that show on this dress. 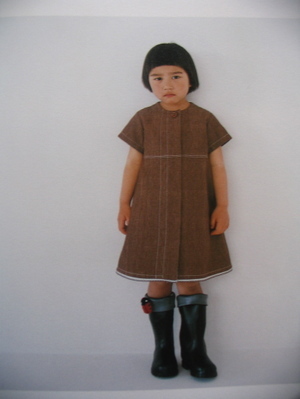 I think my first project will be this smock. I love the little ruffled cap-sleeves. It ties in the back. more of those wonderful ruffled sleeves. And I love the little ties on the pockets. It doesn’t show in the picture, but the fabric has tiny, white polka-dots on it. So sweet. We have been flooded out by rain this weekend. Last night we got five inches of rain and more of these storms are expected until Wednesday. Saturday night, between storms we all put our boots and rain hats on and marched around the farm looking at all the damage after a first storm dropped three inches of rain. The stream here swells quickly and we stood at the bridge watching the barn swallows trying to get to their nests hidden up in the eaves under the bridge. I love a good rain and enjoy snuggling inside with the chance for good art projects, sewing,cooking, music and dollhouse time with the girls. These will brighten any rainy day. OH! 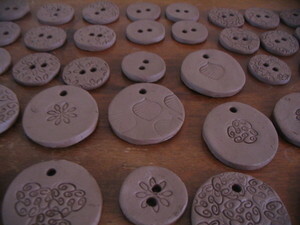 I can’t wait to see those buttons and pendants when finished. It all looks amazing right now, so I can only imagine how beautiful they will look when complete. 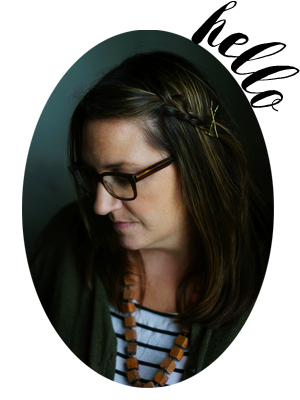 oh man oh man oh man… i am so exicted about all that wonderful handmade goodness going on in your house. cant wait till those are ready for the masses! ps. 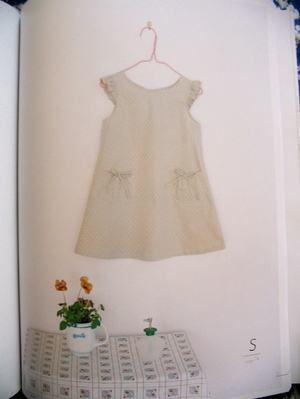 japanese craft books are like crafters crack. thanks for the fix! WOW! So much goodness in this post. LOVE the owl buttons! And the craft book covers are too cute! P.S. Lovely new banner! That is the book I have been coveting!!!! Where did you get it? Do you have the ISBN so I can try to find it? 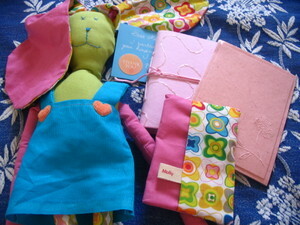 Molly, first off, I clicked over on your blog and the lovely color completely made me say “oh!” out loud, love it. And the WIP’s, well, we’ve discussed my soft spot for owls. 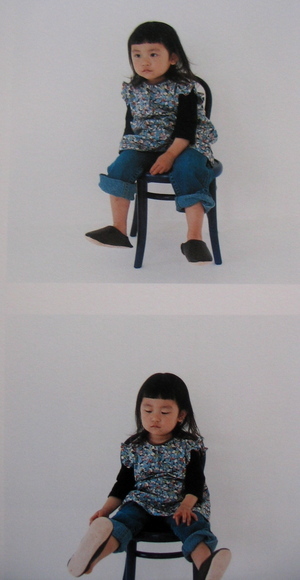 And I’ve looked at that Japanese craft book over and over again because I just love those images, so sweet. Can’t wait to see what you make from it. And Didine, what a sweetie. I have the same book that you are swapping her for (I actually got mine from her too), its so crammed with sweetness! Oh, and thanks for your link to my shop. You will notice that I have not posted anything anywhere that says its for Molly….on purpose. those new buttons are lovely!! enjoy the rain – can’t wait to see what you create! Everything you are showing is beautiful! 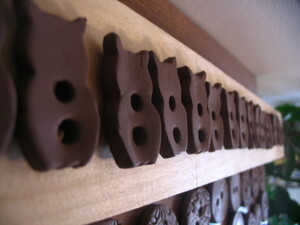 Your buttons, can’t wait to see them finished! I have one of the japanese books and I love it, and the package you received, so sweet!Thank you for sharing! OH my god ! I can’t believe it ! It finally arrived !! Yipppppeeeeeee !! I’m so happy you love it ! I was really worried ! But “ouf” (as we say here in my city in walloon dialect) -> means “phew” !!! AND OH MY GOD !! your owl buttons are BEAUTIFUL !!! Take care honey 🙂 Big smooches ! Did I blink and your blog turned red? I haven’t even updated my links list since I started! I agree, Didine is lovely and always encouraging.Those pendants look great – look forward to seeing the glaze on.That smock is lovely…lucky little girls at your house. Thank you for posting those books! I saw the smock somewhere in blogland and it’s been haunting me. I couldn’t remember the cover. I’d love to know the isbns. So loving that little beige dress. Can I get away with one in size 16? HOW CUTE. Okay, so these famed craft books have patterns with them? I am completely oblivious to these books, but they look so unbelievable. Your new pendants and buttons are looking so wonderful!! I hope to be the proud owner of one (or both!) if my wallet will allow! I have some JC books winging their way to me right now. I’ll be sharing too. So, so addicting. When those owl buttons go up for sale (ohhhh, I hope they go up for sale), will you please make an announcement or let me know? I neeeeeed the owl buttons. Wow, I love that bright fabric used in your swap! Sorry to be commenting so late, but it is just beautiful, I couldn’t keep quiet.